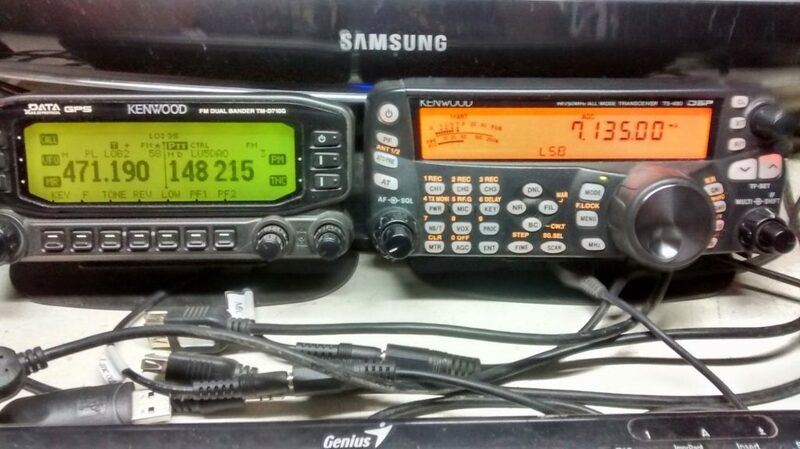 Like most things I invest a lot of money into, I spent a long time researching ham radios and was convinced that the radio to get was the TM-D710GA. It was ordered and on its way before I was able to speak with my uncle who, upon hearing what I’m looking for in a radio, informed me that I need to be looking at HF radios. So what am I looking for in a radio, and why am I looking at ham in the first place? We want to travel throughout the rural western US, Canada, and eventually make our way to AK. We do not want to be stuck without communications in areas without cell signal. This is major. We want APRS tracking so family members will know where we are while traveling. We want to be prepared for any natural disaster, should it be tornado, flood, wildfire, etc, and be able to establish contacts outside the affected area if this ever happens. Though probably less likely, same as above for other major crisis. We bought our scanner partially for infotainment. We rarely listen to the radio when traveling in the car, and might use ham as another means of entertainment. It turns out that with the radio and antenna combo I had chosen, the 2M band would get us to about 70 miles out under good conditions, without the use of a repeater. That’s a lot when you’re in an urban area like Austin, but won’t do what we’re looking for in bullets #1, 3, and 4. Turns out the IC-7100 does not have dual receive. A lot of people prefer standalone VHF/UHF radios because of this, and I’m sure they know what they’re talking about. I’d probably be looking to change it up after a while, which is something I don’t want to do. A standalone APRS like the Micro-Trak RTG50 requires its own antenna, bringing me to a total of two VHF/UHF antennas plus a HF antenna. I’d like to keep antennas to a minimum. A standalone APRS like the Micro-Trak RTG50 does not have a receiver. Though it doesn’t sound like a deal breaker to me at this time, a real APRS radio like the TM-D710G I have will receive and display the coordinates of nearby APRS beacons. You can even export this to a map or GPS display (including apps that run on your phone and connect over bluetooth). I may change my mind about wanting this feature in the future. APRS apparently has an emergency/call-for-help mode that you cannot respond to with a standalone tracker (see above point) or send out using one. 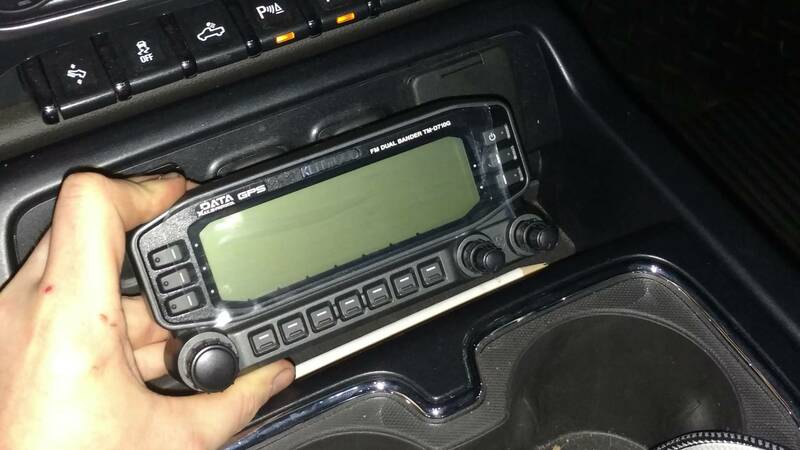 I hit several forums looking for advice and assistance and basically found that the radio I have is the best one to get for APRS. Between that and the limitations of the standalone trackers, I decided to keep it. Going to HF then became another decision of whether to blow the budget now, or invest later. Since I want to do the installs correctly, I have to pull apart my dash, remove both front and rear passenger seats, pillar trim, center console, and turn up the carpet to run cables under it. This is not something I’m interested in doing more than one more time (already done it once) so I decided to bite the bullet and do it all at once. That led me down the path of choosing what HF radio to get. The Icom IC-7100 looks like a superb radio, and I had already been looking at it to perform for all three bands. 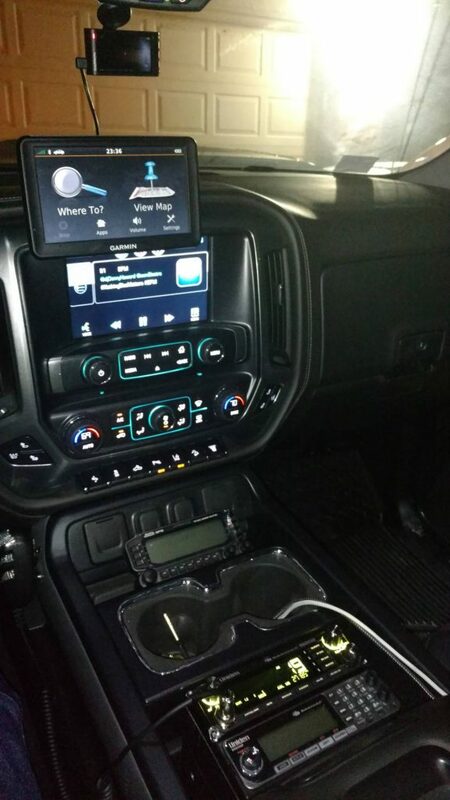 It has a intuitive touchscreen and just looks like a really nice radio. Ultimately I ruled it out because of the touchscreen as well; even as advanced as they are, tactile controls will last longer. And tactile controls seem safer to use while driving down the road. The Kenwood TS-480HX is the radio I eventually decided on. It’s a HF only radio that supports 160M to 6M bands. The SAT model (which I originally ordered then cancelled) puts out 100W, but I ended up getting the 200W HX version. The HX version lacks an antenna tuner that the SAT has, so you have to use an external one. The RAM mount should actually push the radio up and forward a little bit, enough to still be able to access the accessory ports behind it which we rarely use. The only one we have ever actually used is the 110v one on the right hand side, which I would like to keep free. If that is not possible, I will make a very short extension cord to bring that outlet forward to the cupholders. Because it needs an antenna that can be used on everything between the 160M and 6M bands, I opted to go with a Tarheel. There are a few different brands of screwdriver antennas on the market, but Tarheel seems like one of the most popular and well reviewed ones and they have a “short” one that is ideal for where I want to locate it. The Tarheel 75A antenna provides 3.5-30mhz coverage and has a lower mast height of just 16″ with a 72″ whip. The way a screwdriver antenna works is by using a motor to raise and lower the mast, therefore increasing and decreasing the length of the antenna. At its shortest length of 16″, I shouldn’t have any problem hitting anything with it mounted on the bed of the truck in the center of the window where the scanner antenna currently is. The motor will be automatically manipulated by a Tennatronix TurboTuner 2 antenna controller. My original plan was to handle this manually, but after speaking to some people I decided otherwise. In order to accommodate the antenna, I’m going to move the scanner antenna to the driver’s side and reduce the CB to a single antenna install. 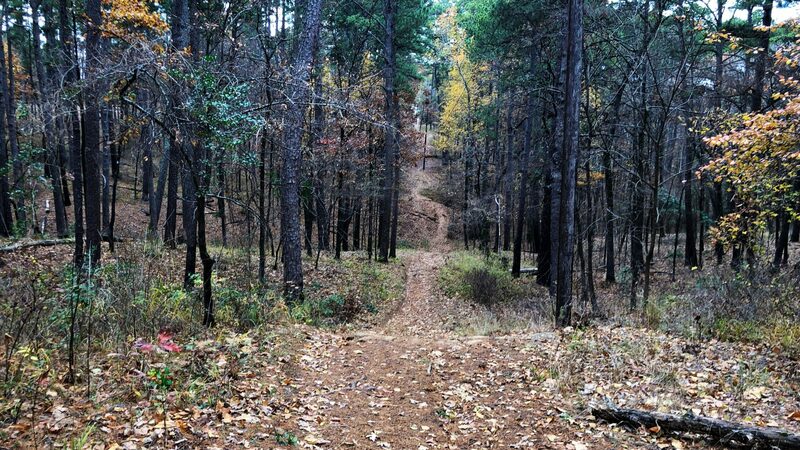 Then I’m going to mount the Tarheel in the center location. That way I’m still maintaining five antennas on the truck – factory FM/AM, 2/70 on the driver’s side fender, scanner, HF, and CB. I ended up ordering two of them, one for the Garmin, and one for the radio. I will be using RAMs mount to extend and orientate the radio according to my requirements. I haven’t decided which one is going to be on the left or right yet, that will be decided once I have the mounts in hand and can look at them in person. 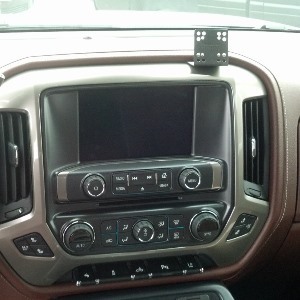 The current dash looks like this, and despite all the radio equipment, I still think it will look like a clean install. Wires will all be neatly tucked under the carpet and inside the console/dash like they are now, and the two mics for the radios will be mounted opposite the CB mic. One of the biggest gripes I have with the Kenwood radios so far (and I haven’t turned them on) is that the mics have to be plugged into the base units instead of the heads. I plan to mount the base units under the rear seat, so that means that the mic cables will have to run all the way back there. I ended up ordering power and head/mic extension kits (part #PG-5F, #PG-4Z, #PG-20) for both radios that allow for more remote mounting of everything and will be running the microphone cables out of the center console in the gap between the CB/scanner and the console sides. I also ordered relays, a fuse tap kit, and some spare 12AWG cable to rig everything up to come on when the ignition is keyed, rather than have to manually turn the radios on and off when entering and exiting the vehicle, and wire loom and zip ties to contain the power cables I’m going to run under the cab and into the rear where the antennas feed in instead of fighting my way through the firewall. The only thing coming through the firewall will be the 2/70 antenna, which I already ran and stuffed inside the console last week.